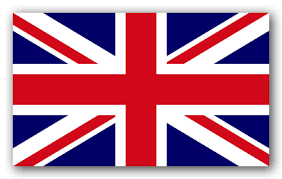 Enhance your ski & snowboarding holiday this winter with our English speaking snow school. Having fun helps you learn and develop skills fast: We have found that the most effective learning is in our fun and friendly One-to-One or small Private Friend and Family Groups, this is the reason we do not offer mixed public group lessons like other ski schools. Energy efficient skiing and Snowboarding: As well as the technical stuff, you will learn the “snow how” of changing your technique and tactics to better respond to the ever-changing terrain and snow conditions. 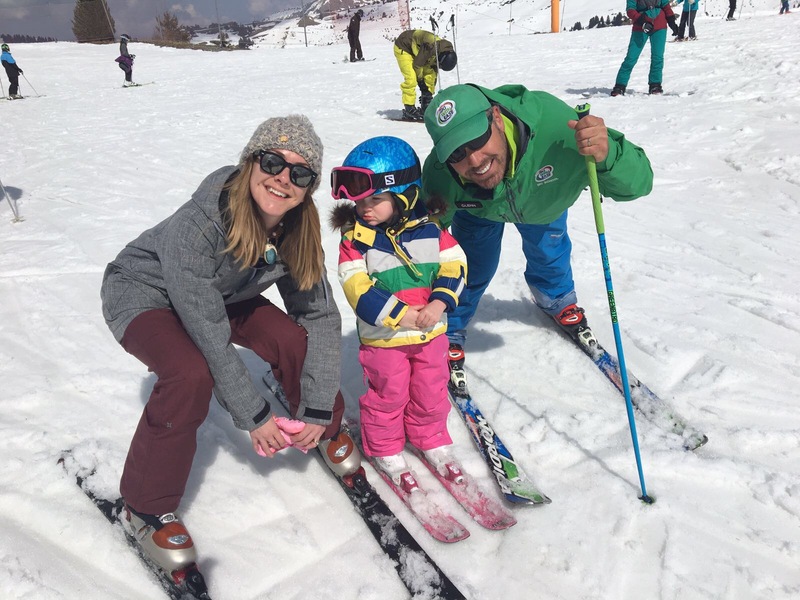 Why the Portes du Soleil is the perfect place to learn: We chose the Portes du Soleil as our base as it caters for all abilities and has exclusive learning areas – it’s the ideal place to learn to Ski with Ease! Our Ski and Board Instructors use fun and effective easy-learning techniques to teach you how to “get the most without using the most” from your skiing or snowboarding. Learn physical skills quickly and easily through clear communication, supportive, patient ski and snowboard instruction that will ease you into the right mindset to achieve more in just a few lessons. Our prime objective is to get you skiing with confidence and develop the clear and focused mind of a professional. Each easy-learning ski or snowboard lesson is adapted to suit your own learning style, making your progress rapid and enjoyable… not necessarily at rapid downhill speed! Through our friendly coaching, you’ll enjoy every minute on the scenic ski pistes of Morzine, Les Gets & Avoriaz. Expert tuition from our highly trained ski and snowboard instructors means you’ll be skiing or riding the pistes with confidence and more efficient power, while using minimal effort – just like a pro! Our “soft skills coaching lessons” are designed to transform your skiing or snowboarding with ease. Encouraging you to learn quickly and with confidence is at the heart of our lessons and coaching services. We’ve developed pioneering techniques to focus entirely on you and your learning style. Booking with Ease: Lorna our reservations manager is an integral part of the team to ensure your bookings run with ease too. Lorna is great at selecting the right instructor to meet your learning needs. We are delivering against our promise as our 3 Trip Advisor Awards, numerous five star reviews and growing loyal customer base shows. Let us transform your skiing or snowboarding this winter and make your 18/19 winter holiday your best ever! 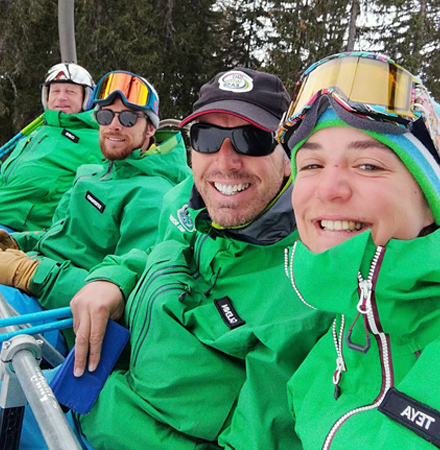 For the last few seasons our clients have enjoyed learning to ski and snowboard with a couple of our dual-qualified ski & snowboard instructors… they wanted more! 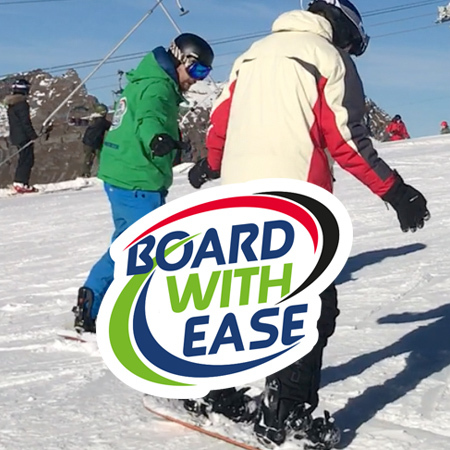 Season 18/19 we are proud to announce we also have a full-time dedicated snowboard instructor ‘Ricky’ and launched Board With Ease Snowboard School in Morzine, Les Gets & Avoriaz. For Beginner to Pro lessons, Tips & Techniques, Park & Powder, Full-Day/Half-Day Hire and Corporate bookings, we have you covered. 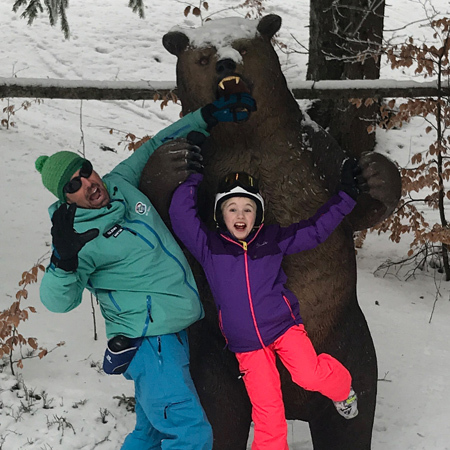 Our fun and friendly One-to-One or small Private Group children’s ski and board lessons combine fun treasure hunts, exploring kids ski trails and play parks with our new generation teaching methods to teach the technical stuff too! Our talented ski and snowboard instructors use soft coaching skills teaching you how to be more at ease sliding on the slopes. Click here to watch a selection of lesson videos for all ages and abilities. Ski with Ease™ and Board with Ease™ offer a wide range of tuition and coaching sessions – take your pick from one-off to frequent ski lessons or snowboard lessons.